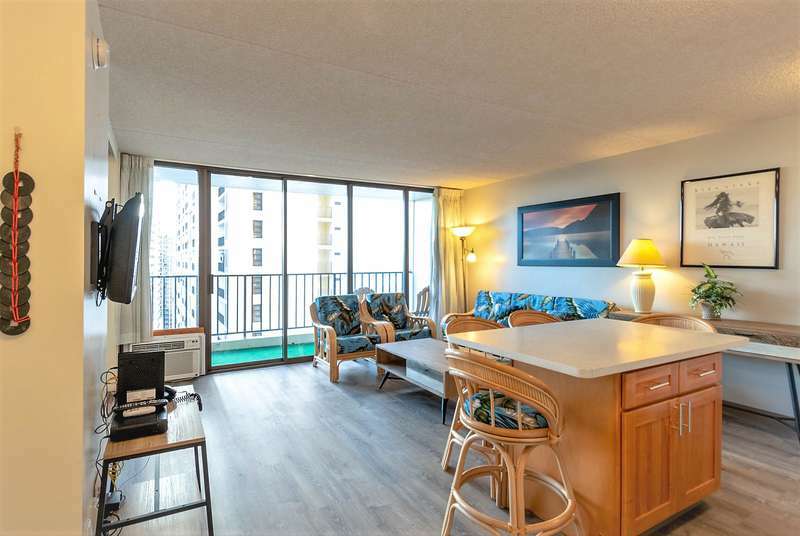 Sit back, relax, and take in the incredible view from this 30th floor condo! 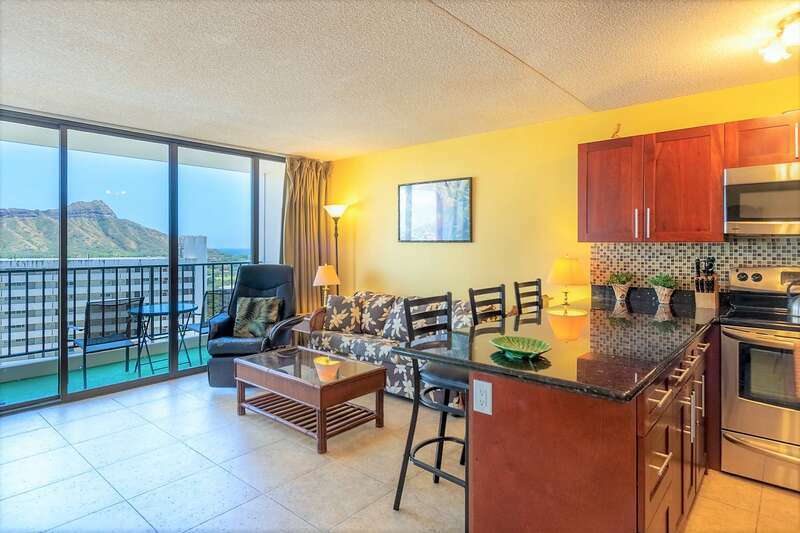 Step out onto the lanai (balcony) for wondrous views of Diamond Head and Waikiki Beach. 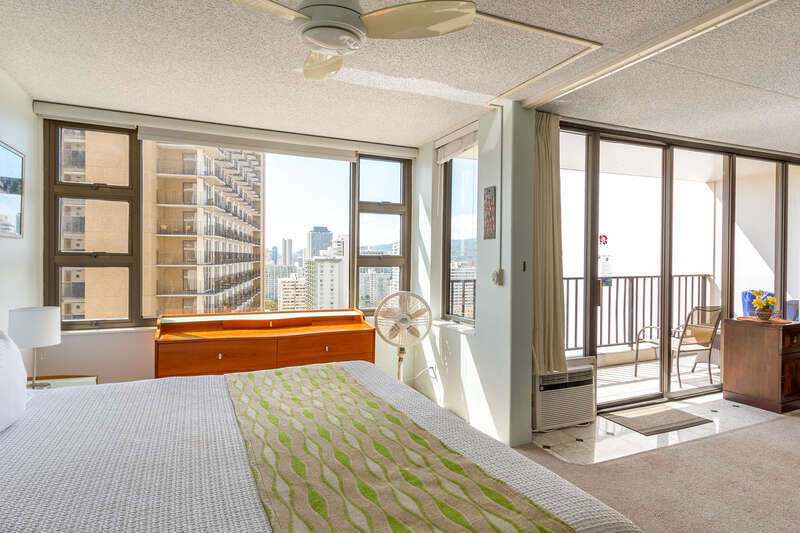 3011 Tower 1 is a recently remodeled condo with a nice bright feeling. The kitchen is new and spacious, with new counter tops, cabinetry, and stainless fixtures. Also be sure to check out the activities on the recreation deck. Enjoy a fully-equipped kitchen and comfortable seating in the living room. Kitchen includes refrigerator, range, microwave, rice maker, coffee maker, and other kitchen wares. The kitchen island seats four people. The unit has Koa wood flooring throughout all living areas. Convenient sleeping arrangements include 2 queen-sized beds. The bathroom has a tub and shower. There is a hand shower for your comfort.